These Top writing contests 2019 are now accepting entries. 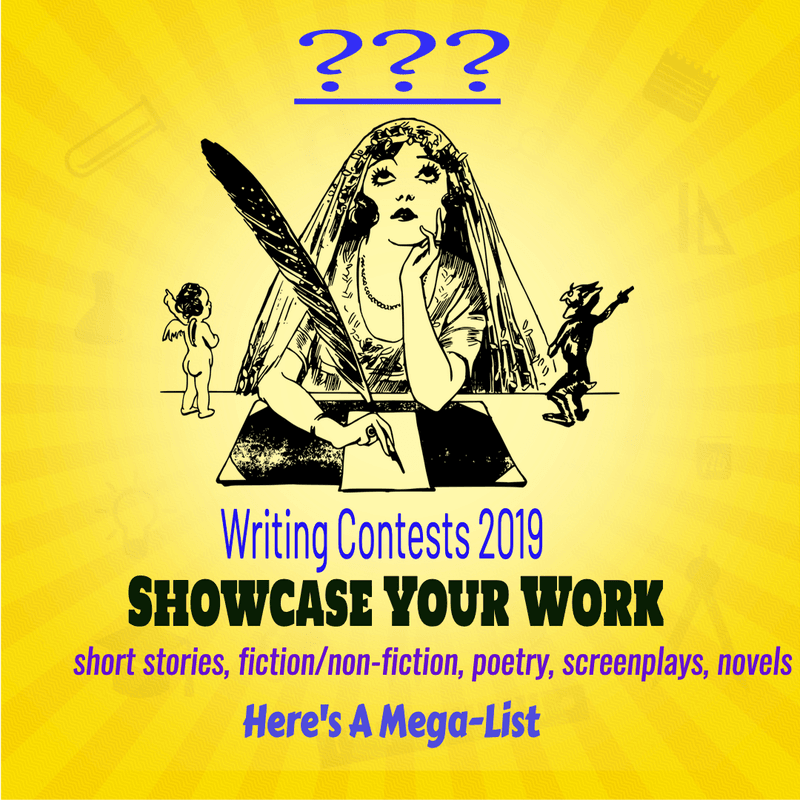 No matter what genre you prefer... Short Stories, Screenplays, Poetry or Novels, if you are a writer, you can use the list below to find the top writing contests 2019 which fit your style of writing. Many of these writing contests are free and they offer cash prizes, some as high as $10,000 0r more. You&#x27;ll find the finest writing contests of 2019 for both your fiction and non-fiction works — including short story competitions, essay writing competitions, poetry contests, and many more. Before you leave to find your dream contest, leave your name and the title of your book so we can promote your work. We love showcasing Christian #authors and those with a transformational story to tell. As I&#x27;ve already outlined, there are a number benefits to learning how to conduct a Virtual Book Tour. So this article will focus on the different types of tours you&x27;ll want to consider. Each Virtual Book Tour is designed to accomplish a slightly different end goal within a different time-frame. You can easily create your own virtual tour to meet your individual lifestyle, needs and time-frames. I encourage you to experiment and come up with your own method to promote your book for free. An extended Virtual Book Tour can last several months with tour stops scheduled every day or several days a week.Be prepared to post a series of articles on each of the blogs you visit. Typically you would need to plan to visit one blog a week and post anywhere from three to five posts on each blog. Your goal is to establish yourself as an expert in your niche, (for nonfiction writers). Your aim is continuous exposure, so mix it up a bit…. You can conduct podcast interviews, radio spot interviews, craft social #media posts, and post a blog a week on an ongoing basis. A blastoff tour is generally a short tour that tends to last between one to five days. It is designed to help you increase your book sales and boost your Amazon ranking in a short period of time. You will post on numerous blogs at once as well as appear in multiple podcast and radio show interviews each day. This can be rigorous and demanding, however, if you plan your content well in advance, it can be very rewarding, as well. A Social Media tour is just that !…This entire tour is designed around social media or a mix of social media appearances including Twitter chats, Facebook Live, discussions on pages, groups and profiles, Google Plus hangouts, and even Live Casts. This type of tour typically works well for an author that has already established a strong social media presence. 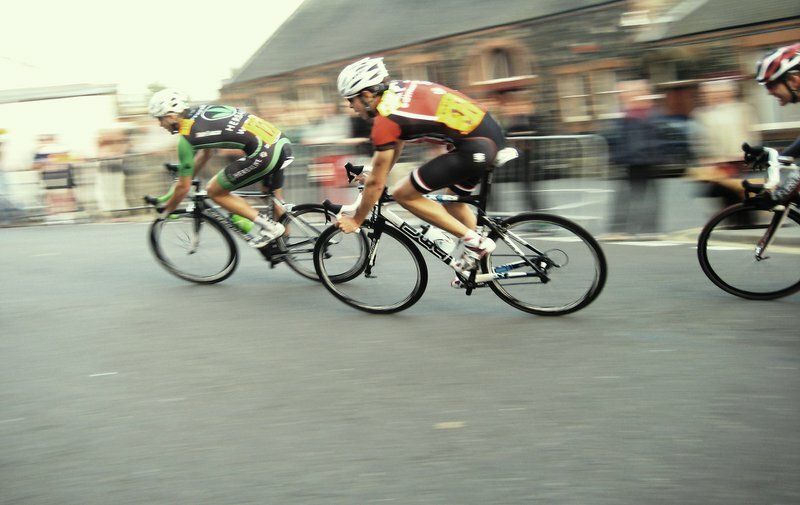 If you don’t have one, choose Tour Hosts that already have a strong following. Here&x27;s another "HOW TO conduct a virtual book tour approach". Simply coincide your well organized virtual book tour with your Best Selling Amazon book launch. Doing so can result in a large number of sales in a short period of time. First, You’ll want to invite a group of partners, with each agreeing to donate an item of value - some good examples include: A free video training course, a free report or ebook, or even a podcast interview. Each of these partners must agree to send an email to their mailing list on the same day with the invitation to purchase your book on Amazon on your specified launch day. (It’s best to draft a series of 3 emails for your partners to send, sequentially. These emails will send them to a special landing page with your Amazon buy button and instructions to enter their Amazon receipt number .) Upon doing so, they will receive all the free bonuses you and your partners have contributed. Set up properly, your partners benefit, because your book buyers will contact them to take advantage of their contribution…and you benefit from more book sales AND additional exposure to your partners’ lists. Avoid overwhelm by being well-prepared, well in advance. 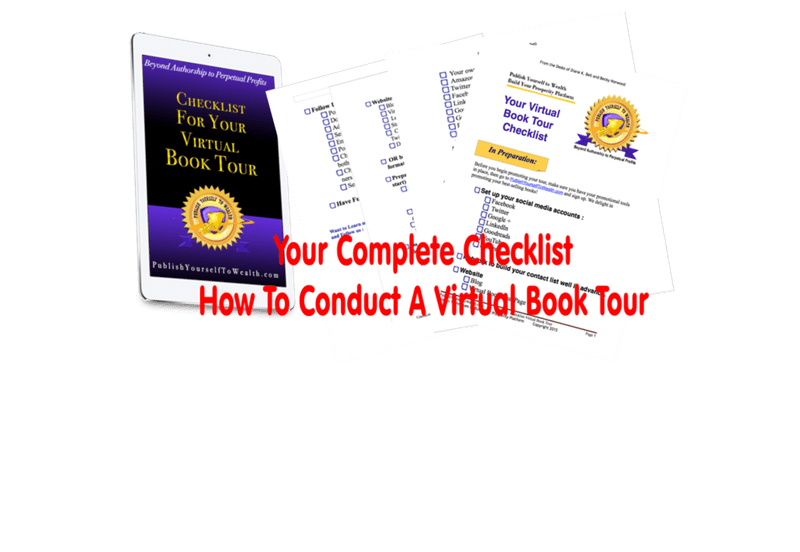 This technique works best for Non-Fiction Books…however, you’ll want to be creative with your Virtual Book Tour and build it to suit your situation and your personality. You can share highlights of your book with potential book buyers- They get to review excerpts, even chapters of your book. You’ll get people talking about your book and sharing! Book reviews by your tour hosts, provides even more exposure, and builds your reputation. You’ll benefit from “implied endorsement” … from the established experts hosting you on their blog, podcast, radio shows, livecasts and on their social media platforms. Your posts, videos, interviews, etc. will bring more traffic as time goes on, as they remain online indefinitely. You’ll begin to build strong long-lasting relationships with other experts, leading to more opportunities. Done well, you’ll reach best selling status on Amazon. 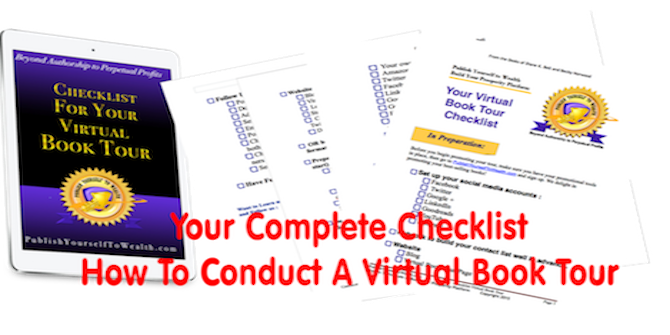 Your Free Virtual Book Tour Checklist is Free: Pick it up now! How to Write a Book? Why You&x27;ll Want To! If you haven’t yet discovered how to write a book and promote yourself and your business, it’s NOT too late. You&x27;ll want to use this book to position yourself as the thought-leader in your marketplace. 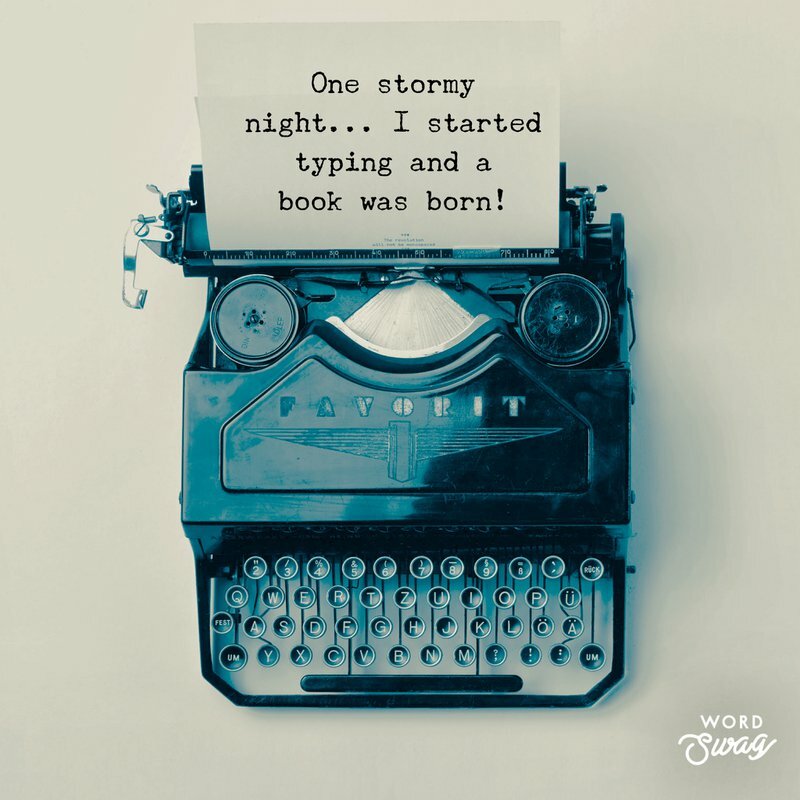 So let’s get started, and I’ll walk you through how to write a book to position yourself AND your business, as the expert in your field...so your customers see you as the "Go-to-Expert". Of course, when writing this book, you’ll want to focus on a topic specific to your expertise. For starters, consider whether you’ve developed a new method, created a better system or had specific success with a unique approach in your industry. Another approach you can use, is to write about a specific skill or information you possess that others want to learn. What specialized knowledge do you possess? Once you’ve chosen your topic, you’ll want o develop a “working title”. A great way to accomplish this quickly is to look at the best sellers list on Amazon, within your category. Don’t worry if you don’t come up with the exact title right now, this is a work in progress. You can always revise your title later. This is the most important step in your entire book writing experience. You see, when you’ve taken the time to clearly describe and outline who you’re writing for, you’ll be able to write to them as if you’re sitting across from one another sharing a cup of coee. The magic is by doing so, you’ll then begin to attract others just like your “avatar” (as we call our “ideal reader”). A word of warning: Your ideal reader is not “everybody”. One of the easiest ways to accomplish this exercise is to describe your best existing client. Are they a woman? ...or a man? What’s their name? Married? Children? What do they like to do for recreation?... you get the idea. Once you’ve got a clear picture who it is you’re writing to, you can begin. For this example, I’m going to walk you through how to write one of the most effective business books you can write. Here it is. Plain and simple. Start by outlining the ten most frequently asked questions (FAQ&x27;s) about your topic. These are the questions you find yourself fielding all the time; those you have to explain over and over again. Of course, you can use fewer or more than ten, however you should be able to come up with at least 5. Once you’ve written those questions down, you’ll want to answer each. For your first book, I suggest an answer no longer than 3 or 4 paragraphs. Of course, be sure answer the question completely. Now compile the ten questions you wish your clients would ask, (SAQ&x27;s). These are the questions your clients may not even know to ask. You know, these are the sorts of questions that come up after you’ve had the conversation with your customer…when you find yourself saying, “I wished he’d asked me……”. Once you’ve compiled these questions, you’ll want to answer them in the same manner as above. Do you see why this method of how to write a book is so powerful? "Become a bonafide author and you&x27;ll create your own unique business card wrapped in a book cover!" 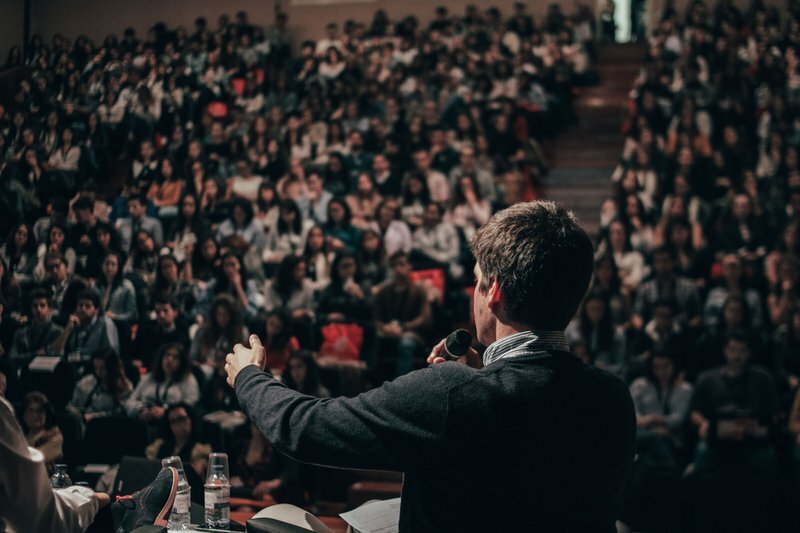 By answering your customers questions and then helping them identify what they need to know, you are building their trust, showing them the way, and establishing your expertise as well. Of course, you&x27;ll be well-served to use this same approach when writing your blog, in your business brochures and even during speaking engagements, however, I recommend putting it in a book format and publishing it on Amazon. You become a bonafide author and you’ll create your own unique business card wrapped in a book cover! It&x27;s written! Easy wasn&x27;t it? Now you&x27;ll want to get it published so you can use it as your calling card. Imagine for a moment...how it feels when you place your book in the hands of that one potential client you&x27;ve been dying to close. See how his complete expression changes when you pull out your book instead of a business card? Do you think this approach will make a difference in your business? Let me tell you it certainly can! The package arrives, the Office Assistant sees it&x27;s addressed to the CEO. Do you suppose she sets it aside?...of course not! She delivers it right to him. The note simply states: "I look forward to our upcoming visit.- D" The CEO, opens it immediately to nd a #1 Best Selling Book. He picks up the book, opens the front cover, and sees the message she wrote: "I&x27;ll be in the area soon and would like to explore some of these ideas with you." He then notices one of the pages is flagged, and when he opens the page, it outlines the program my friend developed to solve a complicated task she knew he was struggling with. Not only did she get that appointment, she closed a very lucrative deal! So let&x27;s make it happen for you. . .
Once you&x27;ve completed the 3 steps above, give me a call, at 303-242-4461. I&x27;ll show you how we can get your book published quickly and easily. Because you now have a "soon-to-be-published" book, we&x27;ll schedule a promotional interview and I&x27;ll promote you and your book, (it&x27;s really your business we&x27;re promoting, right? )...Your interview will be posted on our podcast, blog and showcased on our facebook page. Do you know someone who wants to know how to write a book, and build their business? Pass this along...Share it!